A killer brand equals more opportunities. Creating a consistent brand experience is vital for any business or blog. When someone is looking at your site, print materials and design, it should be cohesive across all channels! Today, I'm sharing five ways to help you build a better brand. If the majority of your customers or fan base are all online, you must create a consistent digital experience. This includes everything - site design, email newsletters, imagery, advertisements, digital downloads and more. If you aren't focusing on a digital space for your brand, I highly recommend you expand to include this in your marketing strategy! With the number of on-the-go users constantly rising, making sure your brand/company is visible on those channels is very important. Make sure that your site is mobile responsive and the page load time isn't too long for readers to become uninterested. Extending your brand into print is also a must! Whether it's print advertising or sharing your content with different publishers, make sure that they are able to recognize your brand as they would everywhere else. One thing that I love? Personalization! Stickerapp has this amazing feature to let you customize your own stickers for packages and more - I had ones made with my business logo for promotional materials, presentations and to seal up business related packages. Plus, they're also a really cute giveaway with my business card at events. 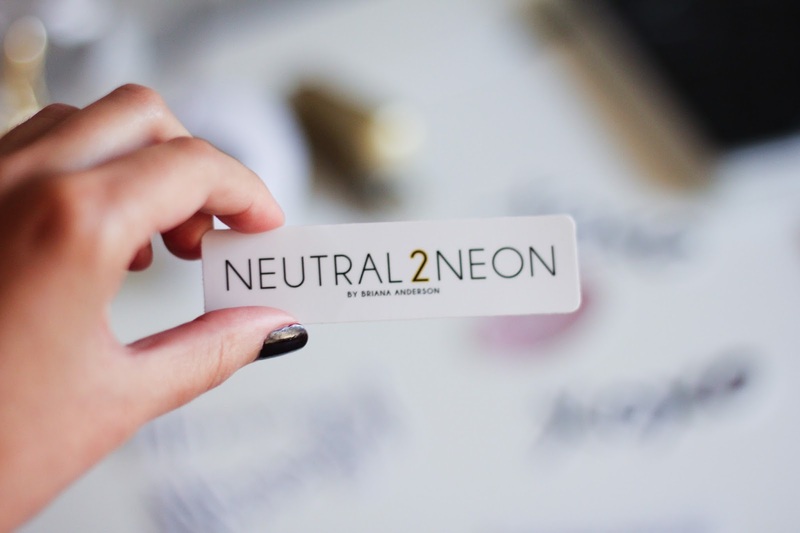 You can get 20% off your order with code: NEUTRALDISCOUNT20. I can't stress enough how vital it is to have a great site design. Make sure that it's easy to navigate, visually appealing and that it showcases the content you want people to see! Take advantage of category division, drop-down menus and sidebar widgets. They can be your best friend, and help boost some side sales or exposure. Make sure that your site is responsive for tablets, laptops and phones - as there are many users using different interfaces to view your content. And above all else, GET GREAT IMAGERY. Great content with lackluster imagery will almost always crash and burn. Set yourself up for success by putting the best combination forward for them. Nothing is worse than trying to communicate with a company or brand and receiving no response, especially if it's a scenario where you could benefit. Maybe they just have a final question before they hit the purchase button, or want to correct a mistake they made with their order. Believe me when I say that you will earn major brownie points for quick response times. We're all just looking for answers as fast as possible today! Whether you're talking with a business owner you know personally or a brand representative over email, make sure that you're communicating clearly and in a professional manner. Establishing this manner will make your clients and customers trust you and your brand. What's so great about that? They'll be more likely to want to work with you again, and it never hurts to have a few references that can boast about your great work. I have no doubt you all will kill it! Feel free to email me with any questions or advice! These are all so true girl! Especially the professional image and consistency! I struggle with being consistent and you can definitely feel the effects of that when it happens! These are such great tips!! I think having consistent imagery and colours is one of the most important things you can do for your brand. Great tips! Being consistent and standing is my key to success. You have the cutest office space! I love the pops of yellow you added. I definitely need to apply these tips when revamping my site. I love this post Briana! You have grown your blog and brand so perfectly. This is a great post to share.